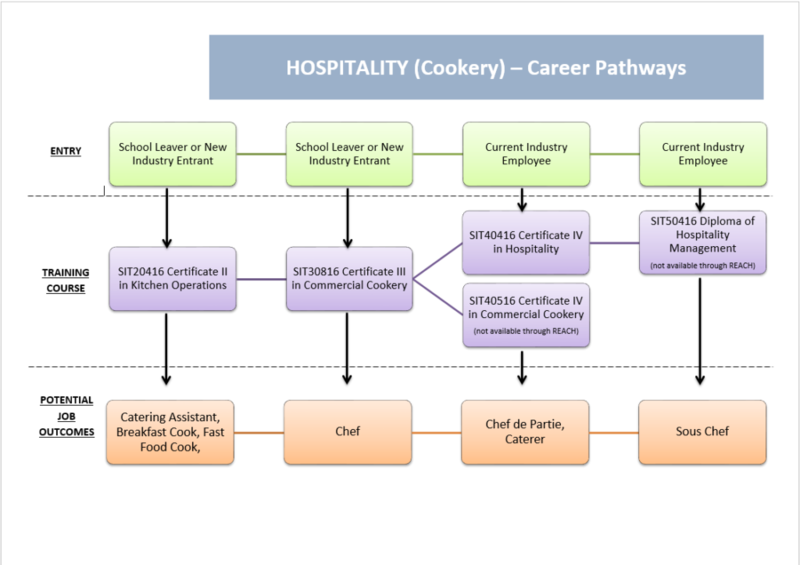 Overview: This qualification provides the skills and knowledge for an individual to be competent in a range of kitchen functions and activities that require the application of a limited range of practical skills in a defined context. Work would be undertaken in various hospitality enterprises where food is prepared and served, including restaurants, hotels, catering operations, clubs, pubs, cafes, cafeterias and coffee shops. Work Placement: 40 hours minimum work placement within a Hospitality industry is a compulsory component for this course. Work Placement Insurance will be provided by REACH for Training.